We are in the thick of bug bite season. Ants, mosquitoes, wasps, horseflies, you name it. There are lots of conventional and alternative remedies to prevent bug bites but what do you do once you’ve been bitten? Something that you may want to look at that works extremely well on everyone and is easy to take with you anywhere. 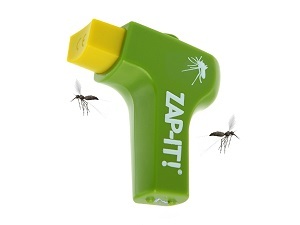 ..is the Zap-It. I have a hard time keeping them in stock. Here is a short overview of how the ZAP-It works. Like I said, I just got a new order of them in, so you can order them from my website here or you can swing by my clinic to pick them up.